[SatNews] COM DEV International Ltd. (TSX:CDV) today announced that it is making a US$500,000 investment in Anokiwave Inc., a radio frequency integrated circuit (RFIC) designer and supplier. COM DEV is participating in Anokiwave's recent financing raise and has secured access to Anokiwave's advanced technology. Under the agreement, the two companies will collaborate and jointly pursue opportunities in the space market. The satellite industry is experiencing rapid innovation that is enabling satellites to achieve improved flexibility, higher functionality, reduced mass and lower costs. COM DEV has helped drive this innovation, and continues to invest in an R&D roadmap that will help its customers take advantage of the emerging applications envisioned for satellites. Anokiwave is a technology leader in the development and supply of microwave and millimeter wave active electronically scanned array (AESA) and silicon core integrated circuits for commercial terrestrial and government systems. 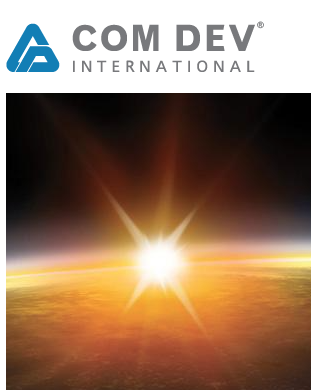 COM DEV has an established heritage in the space industry and will become Anokiwave's strategic partner for that market. "Anokiwave has developed some very advanced technology that nicely complements our own product roadmap," said Michael Pley, CEO of COM DEV. "We are pleased to be able to support their continued growth, and look forward to working with them to develop the next generation of products for the satellite communications market." 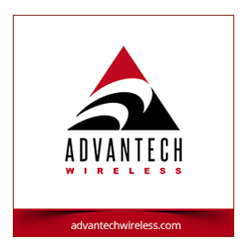 "Anokiwave is proud to partner with COM DEV, a market leader in satellite communications equipment manufacturing," said Robert Donahue, CEO of Anokiwave. "We look forward to a long-term successful relationship on the eve of what is expected to be a rapid expansion of commercial space deployments."